Hello everyone! 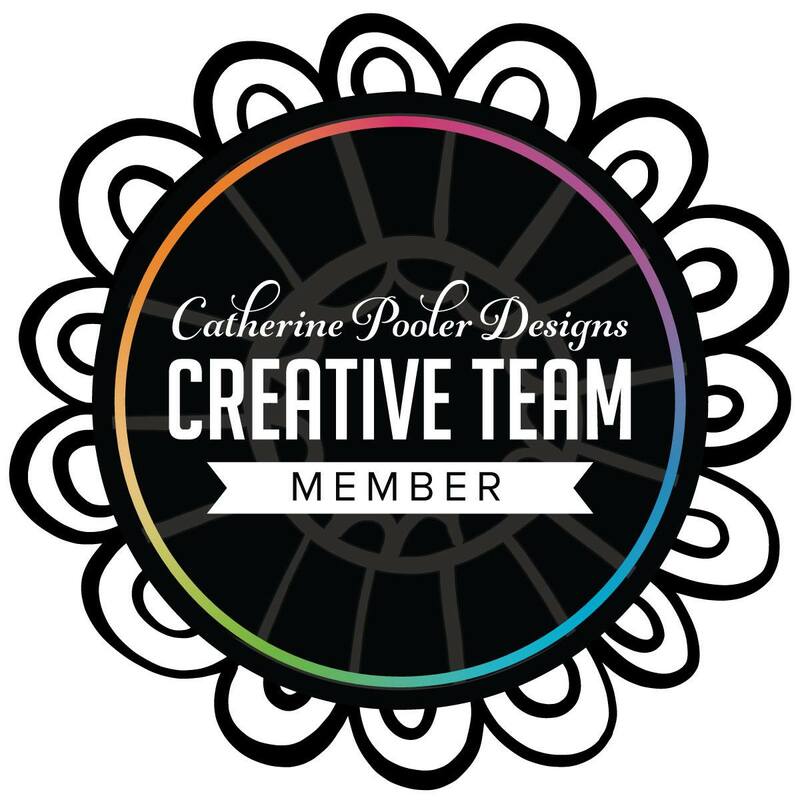 It's my turn to host the Papertrey Paper Dolls challenge #26 again. I kept this challenge super simple since I've posted several hard ones before! This one is a sketch challenge! Here is the sketch and you are free to interpret it any way you'd like...just like it is, turned on it's side, etc! I kept my sample super, super simple as well! I used some more of that sparkly fun foam that I found on the circle mat! This one is a beautiful red glittered one! I LOVE that it is already glittered and it doesn't come off and get all over everything! I used a circle nestie to cut it out. I really like this color combo. I used Lemon Tart, Smokey Shadow and the Distressed Dots paper again. It's hard to tell in the photo, but I used my spica clear glitter pen to add some sparkle to the white part of the bird's hat. So cute! This card also qualifies for the Wee Memories challenge this week to make a cute holiday card. 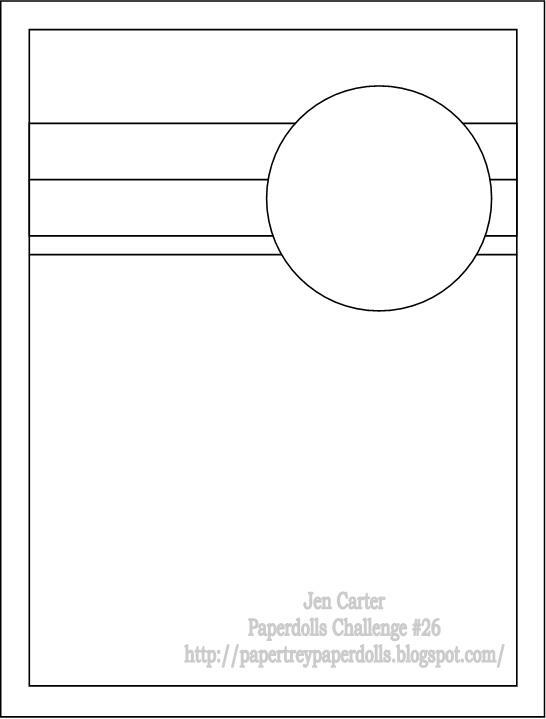 If you'd like to play along with this challenge, visit the Papertrey Paper Dolls blog and add your link at the end of my challenge post! Remember that song, "Blame it on the Rain" by Milli Vanilli? (Does that give away my age? LOL!) Well, the title of this post should really probably be, "Blame it on Keva!" On PTI release night Amy, Laurie & I always have a mini party and chat for an hour or more online. I look forward to this night every month! Well, the month that PTI's set "Flutterby Friend" was released none of us thought we needed it. We didn't even like it then. None of us. Keva thought she needed it, so she bought it. We all liked what we saw. We all bought it too! LOL!! See what I mean about blaming it on Keva? It was all her fault! LOL! 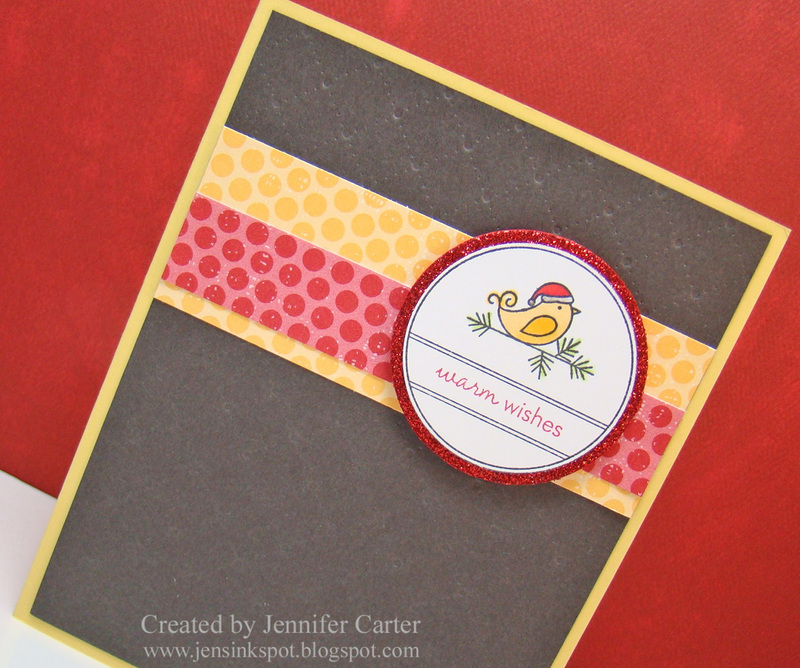 So, in honor of her, we are sharing cards made with this set on our blogs today. The links to the other blogs are at the end of this post. 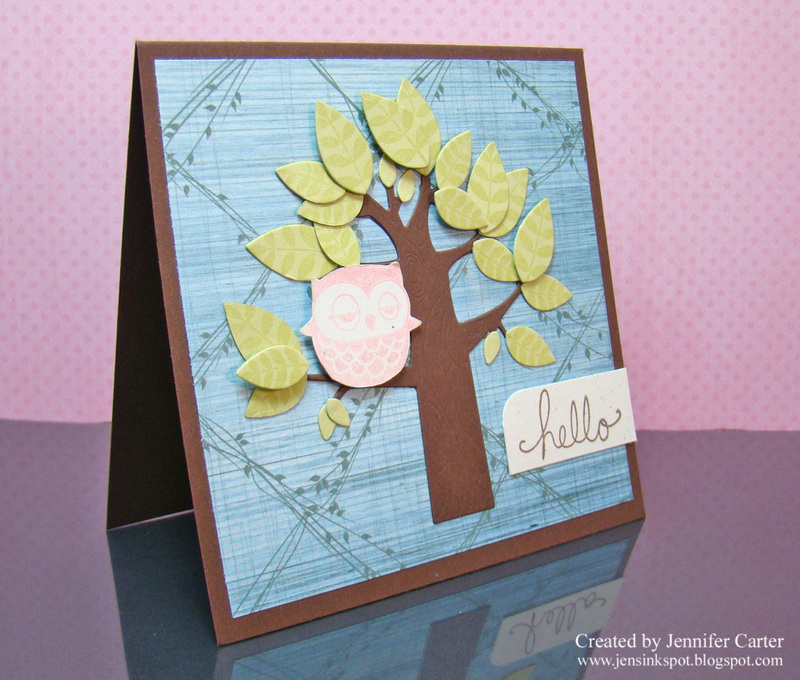 So without further ado, here is what I created for this blog hop! I had such a great time working on this card!! I am so in love with this distressed dots paper...in love I tell you!! It is by far my favorite of any PTI paper that I have ever purchased! If you look closely, you'll see that I used some twine knot berries on my image panel. Those are just so fun and irresistible to make and adds just a tiny pop of color. I colored the images with my copics but didn't do a lot of shading since I used regular ink and I didn't want to smear it. I did use my colorless blender to take off some of the ink to give it a tiny bit of shading. I based this card on Laura's sketch for 2 Sketches 4 You. Welcome to the October Papertrey Blog Hop! This month's challenge was to make a card celebrating the winter season so I pulled out my "Peace Be Still" stamp set and set to work. 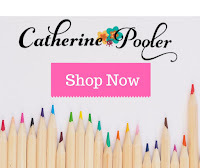 I just adore the new Distressed Dots patterned paper!! I can tell already that this one will be a favorite and you'll probably see it often! And, I have to admit how much I love snowflake images too, so I hope you don't get tired of those either! LOL! I found this fun glittery foam at a local store and knew that I had to have it to use with the snowflake dies from the Peace Be Still set! I love how glittery they are and I didn't have to make any glittery mess of my own to create them! SCORE! :) They are SO sparkly in real life! I also love how the twine looks wrapped around the bow. It just has such a nice contrast against the white ribbon and just looks wintry. Thanks for stopping by! I'd love to hear what you think! 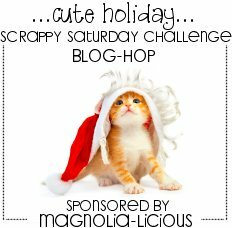 If you'd like to check out other blogs on the PTI blog hop, be sure to visit Nichole's blog for the links to the other participants! And, if you'd like to participate and make your own card celebrating the winter season, you have until 11 PM EST tonight to add your link! Limited Supply Challenge Mini Blog Hop...and BLOG CANDY! 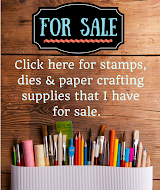 A few weeks ago two of my best stamping friends, Laurie & Amy & I got together for a weekend of stamping. We try to do this every few months or so and we even have a name for our time together, "Stamp Away". This time we each came up with a limited supply challenge and we all played along. We thought it would be fun to show the cards we created! Be sure to visit Amy's blog too (Laurie will be sharing her cards with you very soon too)! Also, at the end of this post, you can see how you can play along too and win some BLOG CANDY!! That was ALL we could use! Nothing else! I've never really "felt" this card. I'm not sure why I struggled with it so much but someday I'd like to redo this challenge and see what else I can come up with! That was all we could use! I have to say that this is my favorite of the three I made. This was a fun set to work with. For the hill, I used the same shape that I used for the tree, only in white ink, it made a great snowy hill! I also used one of the tree ornaments for the snowflakes and then put the rhinestone pearls on top of that. I tend to neglect Enchanted Evening and Spring Rain cardstock a lot! So, I chose to use those for my challenge. I love this stamp set...so cute and fun! You can choose to play along with any of the challenges listed here. If you don't own the set that we specified you can use a set that is SIMILAR (so, if you don't have "Teeny Trees", use another tree set that you own. If you don't have "Flutterby Friend" use a butterfly or grass like stamp and if you don't have "Warm Happiness", you can use any coffee/tea image that you'd like! If you DO have those sets, please use them as that is part of the fun of this challenge! You can enter once for each challenge, so you can have up to 3 chances to win! You have 2 weeks to enter this challenge so I will cut it off on November 5th at Midnight CST. The winner will be chosen by the True Random Generator. Hello!! How are you? I just got home from having lunch in the next town over...taco salad! I love their Thursday taco salad special...yum!! We ate outside too! Such a beautiful day here in Kansas! It was just so wonderful and peaceful! Today I have a card to share with you for the Wee Memories challenge this week. The challenge theme was "Celebrate Good Times" and we were to create a card that celebrated an occasion of our choosing. The card I made was based on one that I had made at our Stamping Away Weekend only I remade it to make it pop more...literally! LOL!! I thought that this stamp set by Fiskars was the perfect set to make a card that focuses on celebration. And, the ticket die and stamp set also worked in so well! Thank you for stopping by today! I hope you have a wonderful, wonderful day!! Yea!! My new PTI stamps arrived today and I had to put together a quick card! I love tree images for some reason. I'm not sure what it is, but I just love them...especially if the branches are bare and I can build my own tree. I also like to hang things from trees. As I looked at my new sets today I thought that the ornaments from PTI's "Tiny Treats: Christmas" set would be perfect hung from the "Merry Little Christmas" tree! Sorry about the quality of these photos! I had a terrible time getting a good picture of this card. For some reason the purple ribbon wanted to show up as bluish. I stamped the dotted line from the Merry Little Christmas set and then masked off parts of the ornament image to line up with the other dotted line. The lines are slightly different, so if I do this again, I'd mask off the lines from the ornament image as well. I used white liquid applique on the tree branches and on the hills for snow. It's been a while since I've pulled that stuff out but boy is it fun to watch it transform from liquid to...puff! :) LOL! This is also my entry for the Tuesday Throwdown challenge: Anything Goes! Thanks for stopping by! Hope you enjoyed this card! Have a great day! Hi everyone! I hope you have had a fantastic weekend! Mine has been busy but so much fun! I had some girl time yesterday morning when I had some ladies over for a jewelry party and then in the afternoon a group of us headed to Wichita to watch the "Like Dandelion Dust" movie which was great! Ahhhh, gotta love time with the girls! We were to use the colors from the photo as our inspiration and/or our card had to include at least one pumpkin in our design. 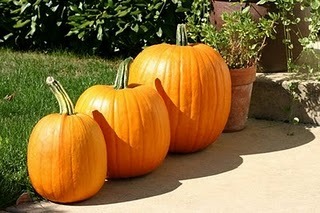 Aren't these pumpkins so cute? I love the design of them so much! On this next photo you can see that I used glitter on the Spring Moss cardstock strip to add some "zing" to it! I love the sparkle it gives...so pretty in real life! 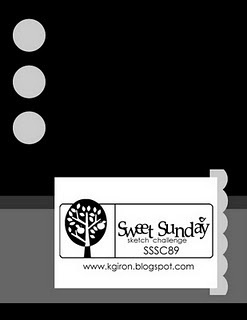 The layout for this card was based on the Sweet Sunday sketch challenge #89. Thanks for stopping by today! I hope you enjoyed the card!! So...the ever famous Ted issued a challenge that I had to play along with because it was just too fun and too creative! The challenge worked like this. You had to send him an email. He would then send an email back to you with the subject either "TRICK!" 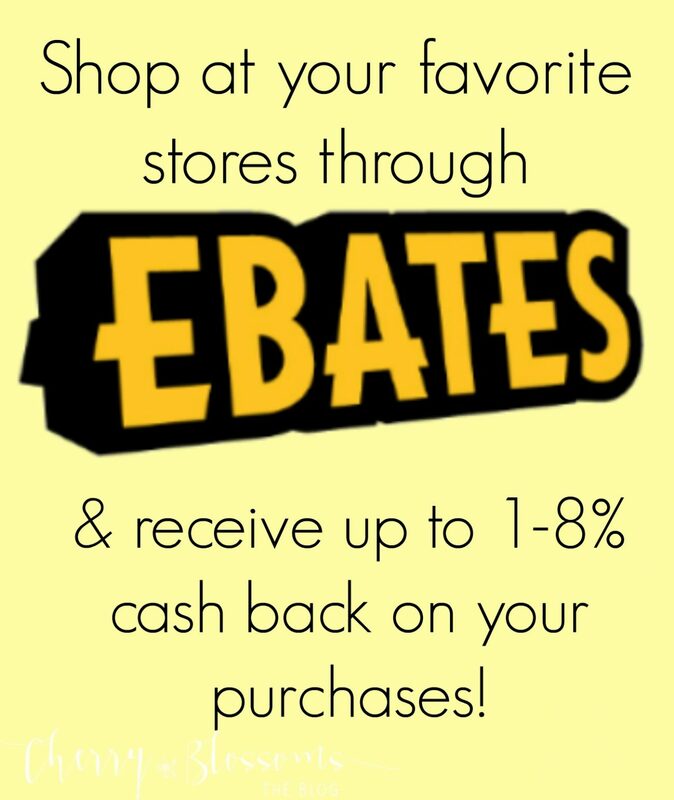 or "TREAT!" If he replied with treat, you could create a traditional Halloween card. If he replied with "TRICK!" then you had to create a Halloween card with NON-traditional images and colors. Color choices: pastel pink, pastel blue, and/or pastel green. At our Stamping Away weekend, Amy brought her My Favorite Things tree die and I loved it! I used it to make this tree! I love how it cuts and embosses at the same time! I used one of the leaf images from "Turning a New Leaf" to stamp the pattern on the leaves. I really like how that turned out! I also have to give credit to Amy for the background paper. She had made a card with this tree die where she used a blue background paper too and I loved how it looked. I happened to have this paper with me and it worked great! I had ZERO Halloween sentiments so I went with a generic "hello" but I hope it still can be considered a Halloween card! This was a TOUGH but fun challenge, Ted! Thanks for hosting! And thanks to all of you for stopping by today! I love reading your comments! Thank you! 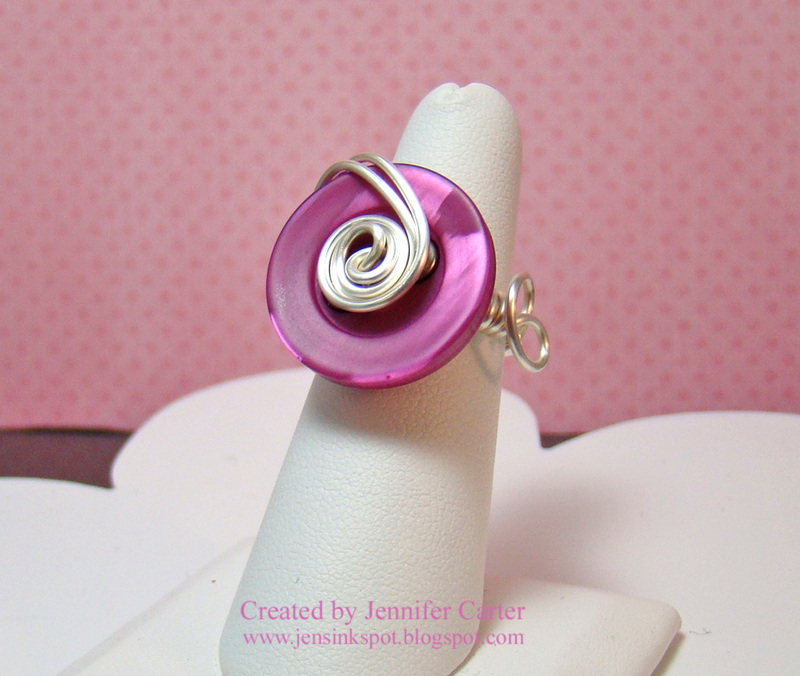 I have some new rings up in my Etsy shop! It's been a few weeks since I've shared any pictures with you, so I thought I'd do that real quick today. Also, I've also lowered the shipping price! Now that I know better how much it costs to ship the rings, I have a better idea of what to charge. Here are a few new rings that you'll find in my shop! Thanks for stopping by! You can see these rings and lots more at my Etsy shop, Jen's Ink Spot! Hello! How are you doing today? We had the most beautiful weather here today in Kansas...the temperature was just perfect and we even had a little rain shower which brought that nice, clean, fresh smell that I love so much! 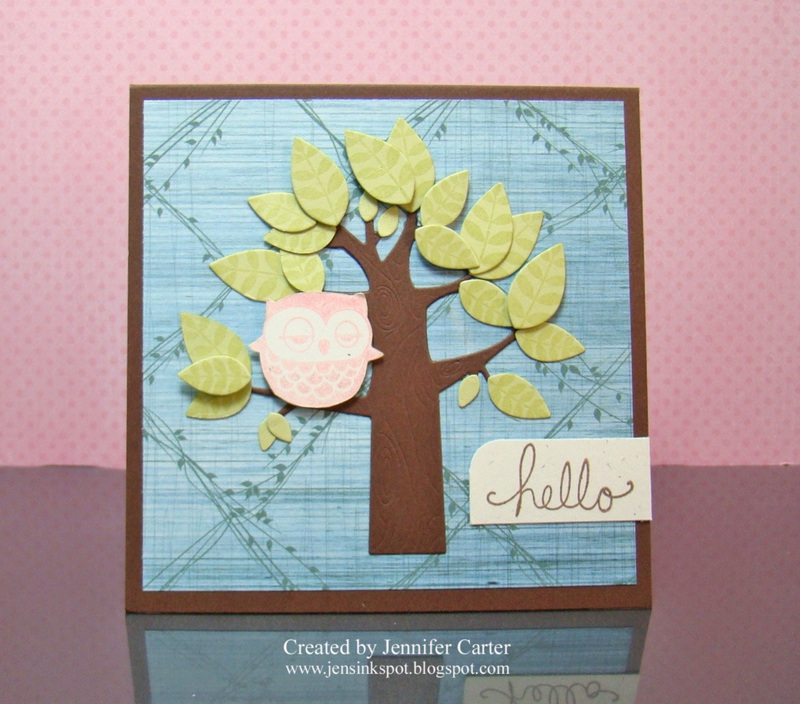 I wanted to share one of the cards that I made on my Stamping Away weekend! This one is probably my favorite of the bunch! I just love button trees! I went with a fall theme since it is kind of appropriate for this time of the year! Let me tell you, this was a FUN card to make! 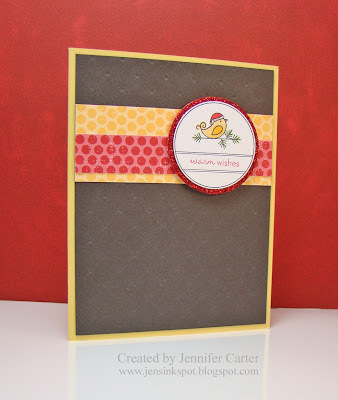 I love adding buttons to my cards and I got to use so many in several different colors! 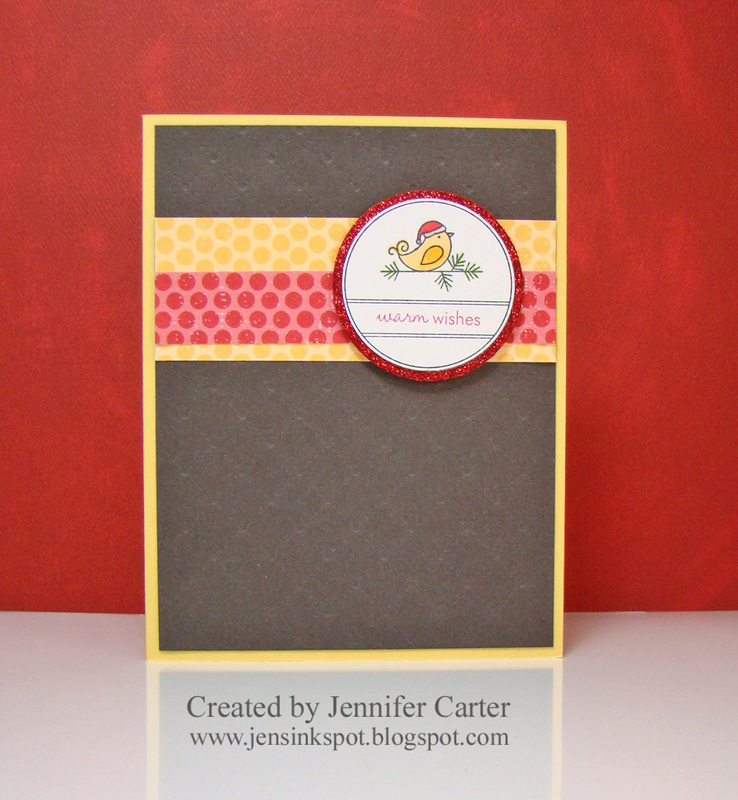 I also think it is super fun to pair the Sunshine Impression Plate with almost any outdoorsy card. That plate is just so perfect! Well, I'm keeping this short because my hubby & I have a "date" to watch tonight's new episode of "Chuck". That show makes us laugh so much and we enjoy watching it together! Thanks SO MUCH for stopping by today! You all are the best! Oh my! I had such a good time with my wonderful stamping friends Amy & Laurie at our Stamping Away weekend! It's so sad to have to pack up and leave (although it's only a 5 minute drive to Laurie's house for me...but it is 2 hours to Amy's house!). I finished 9 cards...some better than others, LOL!! I'll share those with you in the days to come! I wanted to share a card that I made BEFORE our weekend so I won't forget to put it on here...plus I already have pictures taken of it and I'm so tired and lazy right now that the thought of getting out my camera to take pictures of my other cards just doesn't appeal to me right now! I thought it would be so fun to "hang" the snowflakes! I do realize that even though I tried to tack down the thread ends they popped back up and need trimmed but I didn't catch that until after I took the photos. The Kraft layer is popped up, you can kind of see that here. 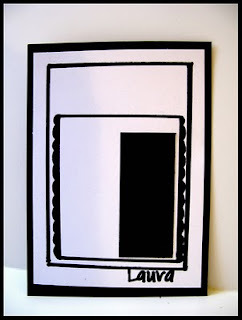 I used Fresh Snow ink and a sponge to create the snow drifts at the bottom and to ink the edges around the card. This one was so fun to make! I hope you enjoyed it! 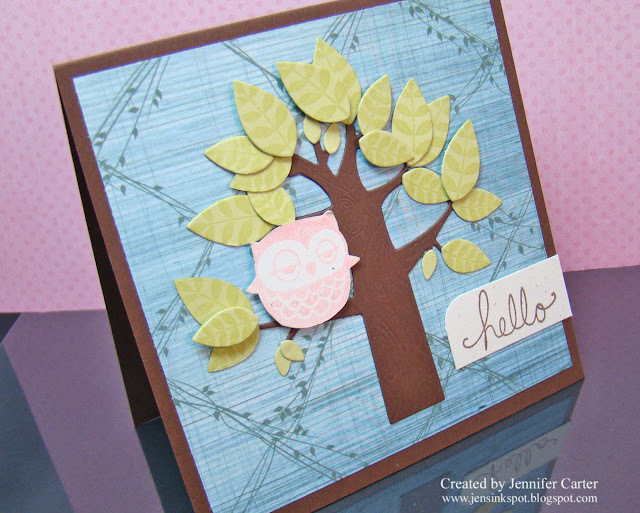 I am popping in from our Stamping Away weekend with Laurie & Amy! We are having so much fun and enabling each other a little too much...LOL!! 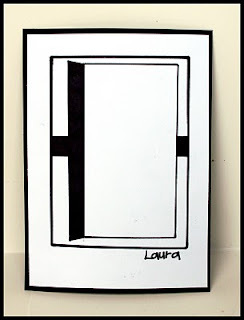 I thought I'd quickly share the card I made for the 2 Sketches 4 You challenge this week! It was SO FUN playing with the rolled roses! FUN, FUN!! They are so pretty on cards and each of us made cards using them so you'll be seeing more of them very soon! Here is the sketch that I was working from. I turned it on its side. Thanks so much for stopping by! It's time to get back to work...stamping! !